A Short Story by Nina — Bullies Keep Out! There is nothing worse than a mother’s plea to get her daughter help from the bullying she is suffering from. It is even worse when the parents of the bullies take part in enabling their children to bully and participate in it with them. When your child is 15-years old and being bullied from 5th grade and the school along with all law enforcement outlets are telling you nothing can be done until something happens, it is time to share your story. That is just what Nina’s mother did with me. She would like for me to share a short story that Nina wrote as well, which I am more than happy to spread around. I am asking you all to share this as much as possible with as many as possible on all social media outlets. The more we speak out together, the closer we get to prevention and intervention. There is still so much work to be done as bullying continues to be an on-going problem. 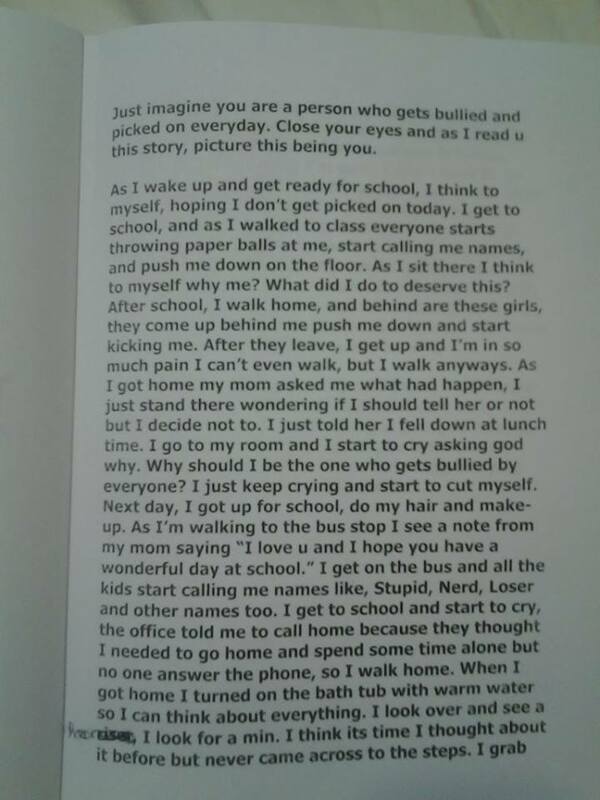 It does not get an easier to hear or read these stories of bullying. It does not matter what age you are, it is unacceptable in ALL forms at any age. There should always some action that can be taken and this is why we along with so many others exist to help when people feel they have no place else to go. We can’t wait until something happens because than it is too late. The more we stand up, the more people we will reach and the more change we can create. There is no excuse for action not to be taken in some form when a child or an adult is being taunted, bullied, or harassed. 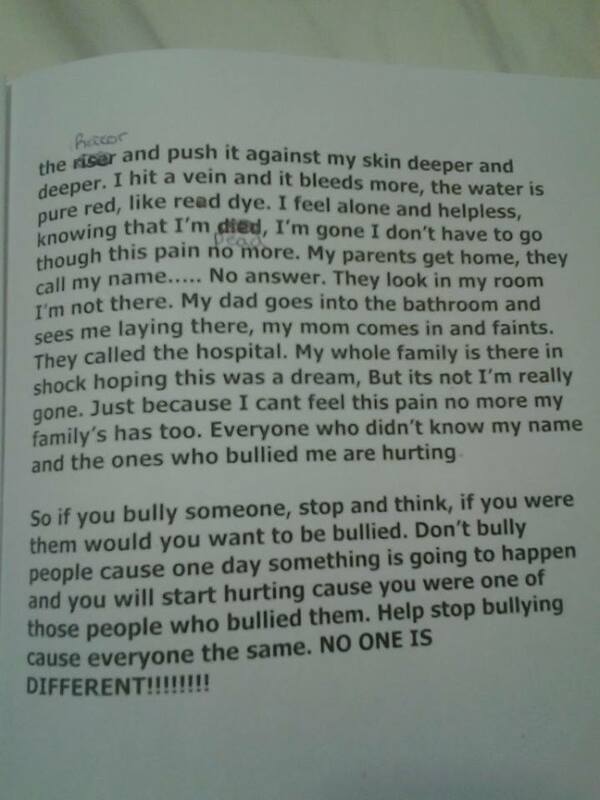 I want to thank Nina’s mom for sharing this with Bullies Keep Out and allowing me to publish Nina’s short story that she wrote. I also would like to thank Nina for being brave and having the courage to express herself and share something written so beautifully and honest.